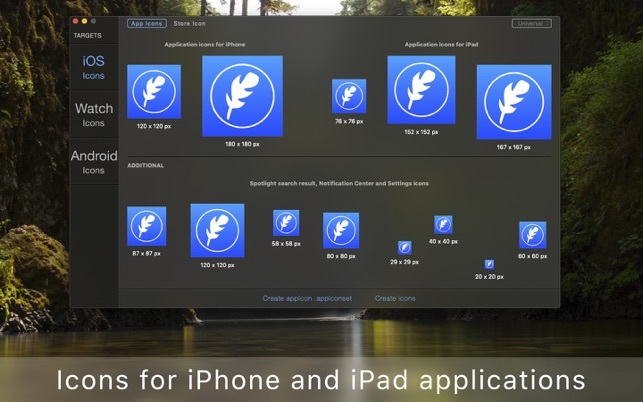 Create an Appiconset or a full set of app icons for your iOS, and watchOS applications with IconFly Mobile. 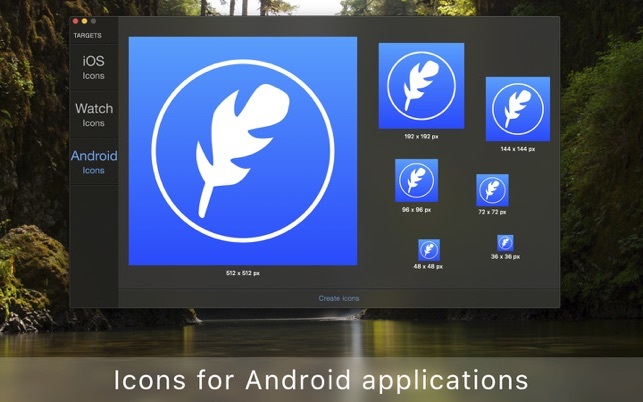 Besides, you can create app icons for Android applications. 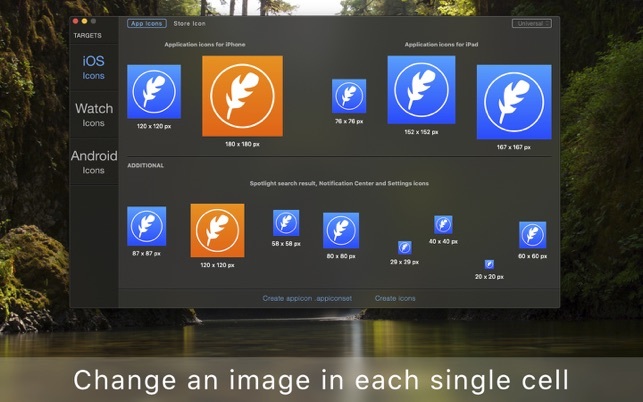 All you need to do is import an image, pick your icon type, and export icons. 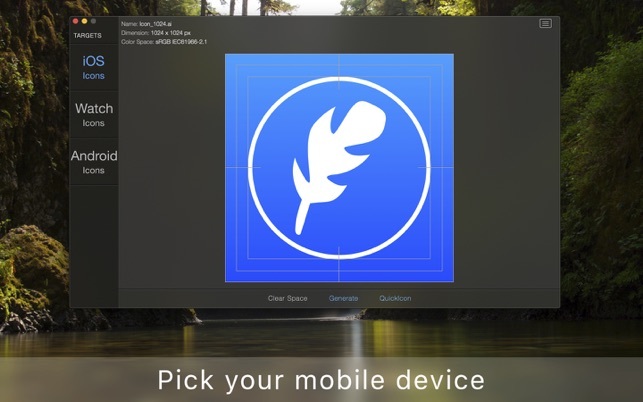 IconFly Mobile is configured to create all sizes of app icons automatically. 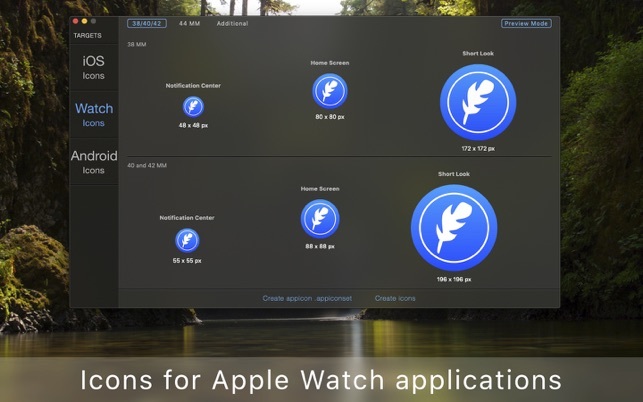 IconFly also supports Appiconset for the previous versions starting from iOS 7, and watchOS 1. 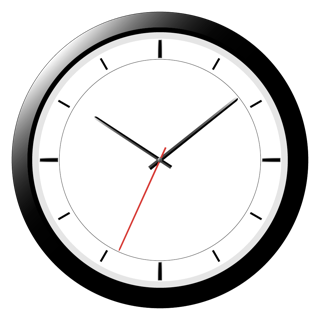 • Actively supported and consistently updated.